The Silver Sun Table is a stunning design offering modern esthetics. The Silver Sun Table is shown with wood veneer top and aluminum frame table base. click through the gallery to see examples of the table with a glass top and as a fabulous standing table. Power and data offered. Wires are concealed and run down the legs. 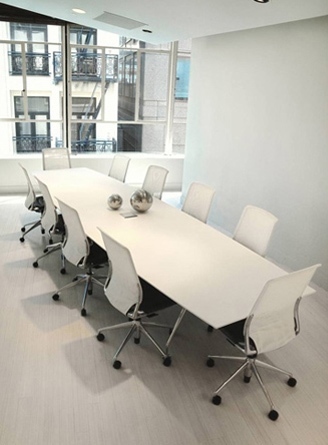 Matching round meeting tables and low coffee tables offered. If you are interested contact us for more information.